Belinda Matthews Stenson is the Director for the Minority Business Partnership (MBP) for the Dayton Area Chamber of Commerce. In this role, she is responsible for leading the chamber’s efforts to grow the nine county Miami Valley region’s economy and to strengthen area minority businesses. She champions this initiative by advocating for increased minority business participation, facilitating strategic business relations and leveraging the talents of minority businesses in the area. The MBP initiative supports the chamber’s ‘Buy Local’ strategy by assisting purchasing organizations to keep more spend local by connecting buyers with capable MBE suppliers. Belinda has an undergraduate degree in Economics/Accounting and a Masters of Business Administration degree in Finance/Accounting. 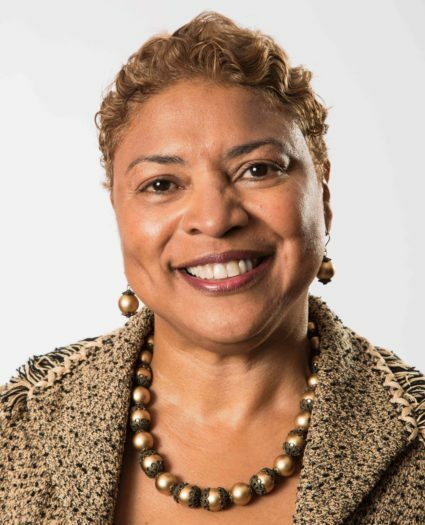 She currently serves as President, The Dayton Chapter of The Links, Incorporated, and is a member of several diversity-oriented oversight committees in the area: City of Dayton Procurement Enhancement Program (PEP), Commission on Minority Inclusion, and Parity. Belinda recently joined the Premier Health Partners Board of Directors and is a 2013 graduate of Leadership Dayton.